ZHorse's job is to provide an enhanced management of horses in Minecraft. It ranges from giving custom names to your horses to teleporting them if you happen to lose one. This plugin is highly customizable since you can edit any word showing up in the chat and define how ZHorse should work by editing the config. Claim any wild horse, donkey, mule or llama. Spawn horses with custom appearance and statistics. Name, rename and edit at will your claimed horses. Watch your horses names take the color of your permission group. Or put them up for sale ! Protect your horses against a customizable list of damages. But share them with your friends ! Teleport your horses to you, or yourself to your horses. Send them back to their stable. Resurrect them with their full inventory. Set you preferred language and horse. Store your data with MySQL or SQLite. Go through the list of commands to discover all the features ! Check the To Do list on GitHub ! Take a look at the Config, Locales (EN, FR, DE, ES, NL, HU) or the Tips and tricks page if you encounter any difficulty ! Feel free to suggest me your ideas or report your bugs via a new issue on GitHub ! Hi, please open a new issue on github so we can deal with it. Hi, So I'm having a problem with /zh here ill type my horses name, and it won't give me any message or anything, then I type the id (25) same thing no message, then i do /zh here -i Simba and it will say that i have no horse with that ID (I then do -i 25 and there is no message, and no horse tied to me), but i do /zh list and Simba is there as number 25,idk if its a bug, but i just wanted to know how i could fix that? Hey is this available for 1.11.2? Hey! I downloaded this plugin, and i can't seem to claim horses, it the message just disappers, and I do the /zh tame, and it says, "You must claim the horse first!" Do you have any tricks for me? (I am on the horse when I do this, am on version 1.5.1, and have tried reinstalling the plugin.) Thanks! Hello, what is your server version ? Ok then the version is fine. Could you create a new ticket on GitHub (last link in this project overview) so we can analyse this more easily ? so, how does the system select the favorite horse? It seems that 1st id is selected,but is that right? 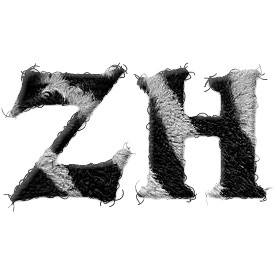 Yes, by default the horse of id 1 is the favorite one, but anyone can change his/her favorite horse with "/zh settings favorite"
So, when a player execute "/zh heal", for example, the horse that the player is mounting will be healed, or the horse of id 1 (see "/zh list" for ids) if the player is on foot. However, keep in mind that flags (-i, -t, -a) are not mandatory but allow better control on the commands when you know how to use them. have you an example for the spawn command? There are several examples on the Tips and tricks page, that should be sufficient for you to master the command. Hi, as this is a call to the Bukkit API that is causing this bug I will request Spigot community's help. In the meantime you can switch to the old teleportation method (see config). Horses shouldn't duplicate anymore but you may encounter the issue that forced me to switch to the new teleportation method : horses disappearing from the server. Hey! Ive had a little bug on my server. Horses have been duplicating a lot. Any solutions? 1.11 COMPATIBILITY FIX (beta) : HERE 1.6.2 is out ! How do we enable the plugin on a multi world server for each world? We use the spigot version but it says we need to enable it for the commands to work.